There’s a reason why so many homeowners love tile floors, as it is one of the most versatile floor coverings on today’s market. The best part is, it’s as functional as it is aesthetically pleasing. Not sure how or where to begin your journey to a home lined with multidimensional tiles? 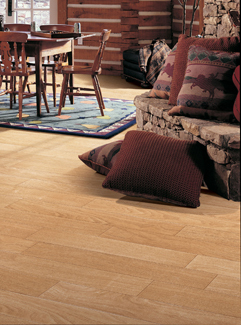 Flooring Canada associates are highly trained and enjoy helping you find flooring tiles that complement your décor. Our reputable flooring store offers an array of tiles to upgrade the elegance of your residential interiors. Product lines are available in an array of colors, patterns, and styles so you can customize the look of any room in your room. Floor tiles are a conversation piece on their own! Let us help you find tiling that makes your visions come true or checkout our latest brand Floorcraft® Catlin tile flooring selections for ideas. Call us at (800) 4-FLOORS or complete our online contact form to learn more about our array of tile flooring.